Thanks Rufus and Battlestar. 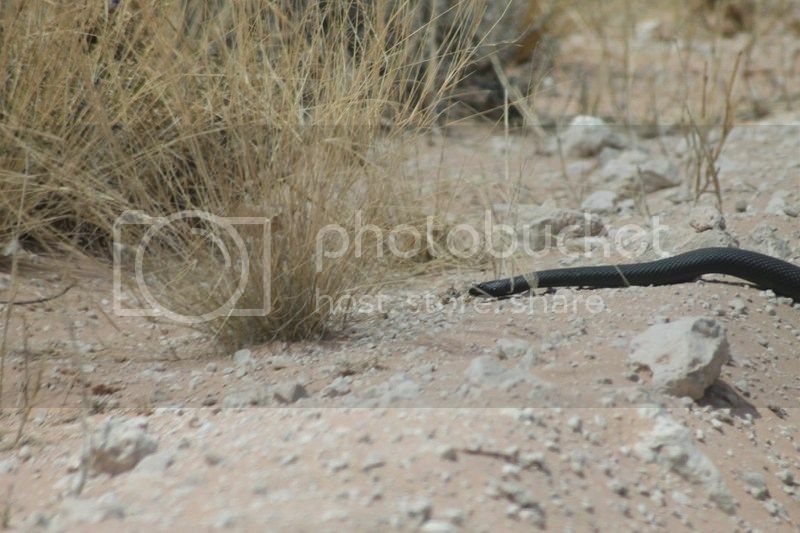 I tried to google to check if its not perhaps a Cape Cobra. It was indeed very docile and calm. How do you spot the difference between the mole and the brown water snake? Een was hoeka 'n bruinwaterslang, maar dank Vader, BAIE kleiner. Dis n lekker thread die. Ek het nog altyd van slange gehou maar hier in die stedelike gebiede sien mens maar min van hulle. Selfs as ek bikie gan explore sien ek nie sommer slange nie. Its been a really long time since I kept snakes...as in very very looong but from memory, you need to have a book on the common snakes, one with good pics. 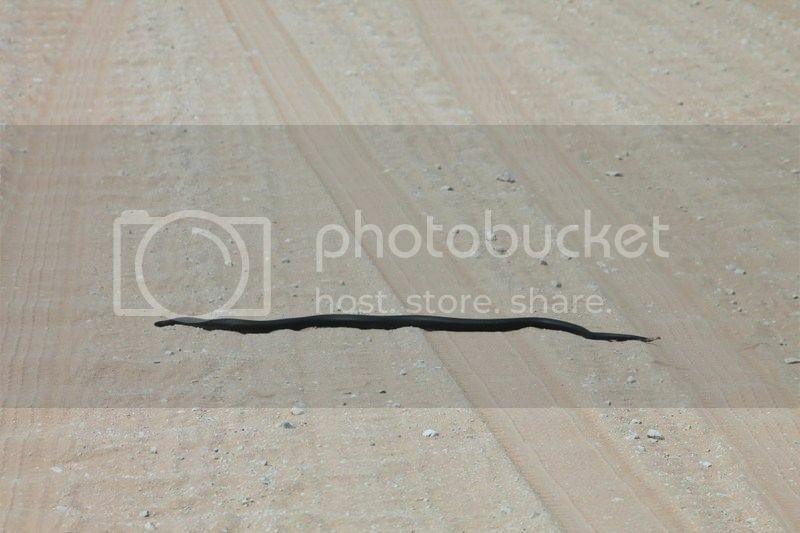 Then, certain characteristics are counted together (not alone) such as head shape - mole snake has a pointy snout and the water snake more flatter and eyes bulge out more. They are both constrictors but again, from memory the transition from head to body is more pronounced in the water snake than the mole snake. Young mole snakes are not uniform in colour, they look very different to adults with their patterns. Young water snakes look like mini versions of their parents. Mole snakes have a reputation for being aggro little bastids, water snakes are chillaxed like some forum members. Treat all with caution and respect, and the world will be a better place. Some photos I picked up from my time onshore and offshore in Cabinda (not taken by me). There were quite a few snakes around the camp. Company had a good policy of relocating them to a safe area in the camp and releasing them. When you are on a well jacket it often took hours to get a boat to pick you up again to go back to the beach. One day some guys were dropped off at an unmanned location and when they moved around they saw a big python on the deck. They reported it to Operations and the mere mention of the word "snake" had a helicopter on their location in minutes. But these guys were British ex Royal Marines so they completed the job before leaving the location. That Gaboon Viper is eating a cat..OMF!!! And his tjommies are just looking on. In the camp the word cat food had a whole different meaning from the snakes perspective. Ek het al 2 slange op die ou Polkadraaipad gekry. Ri, baie dankie. Ek sal bikie uitvind oor dit. Dit is defnetief iets wat ek sal wil doen. Knowledge is power. Caught this little guy on saturday. He bit me about 100 times before realising he can calm down. Hierdie molslang in die kgalagadi se stert is afgebyt deur 2 secretaris voels. Arme ou kon nie vinnig genoeg wegkom nie. Are you sure that it is a Mole snake. Could have been a Stiletto snake which is very venemous. I didnt know stiletto snakes can get that big? 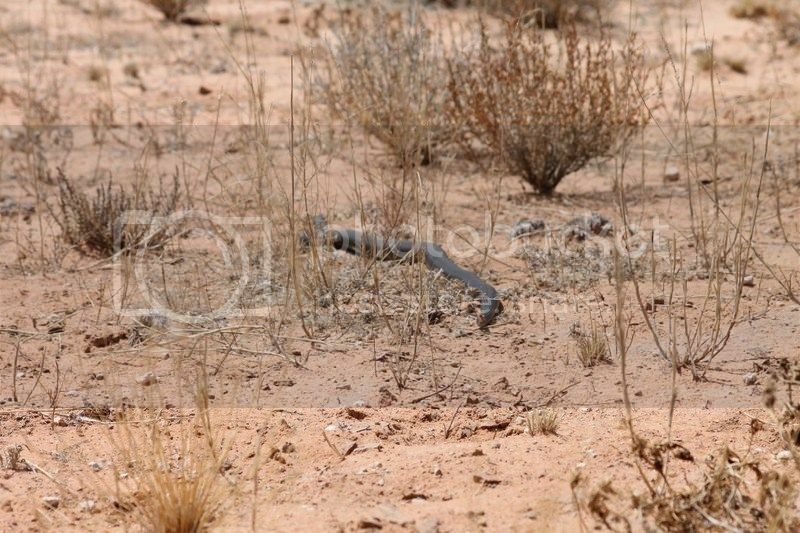 According to google the stiletto snake can grow up to 70cm long. 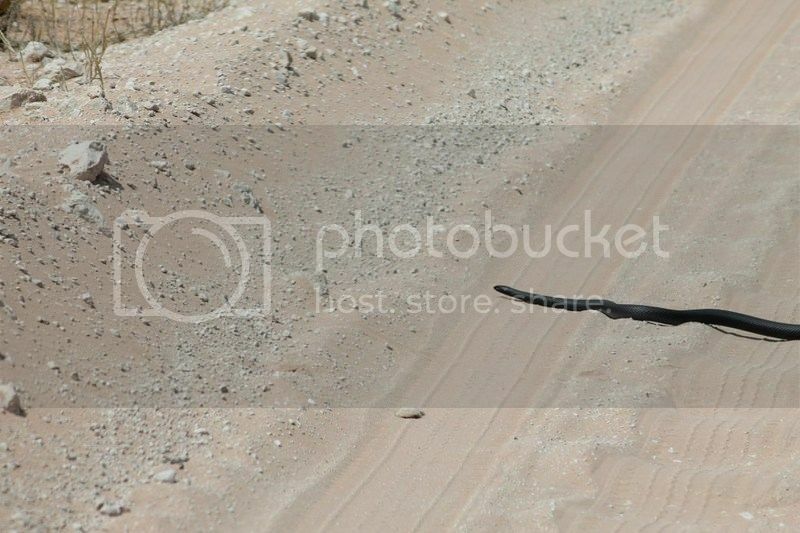 The snake in that pic looks to me a bit longer than a meter. But I never realised how big the stiletto snake can get. Nee fok, ek los die goete uit. Gaan hom nie vra watse slang hy issi. Ek is nie bang vir baie nie maar vir slange kakbang. I know this little guy, he lives around my house so I knew what he was. 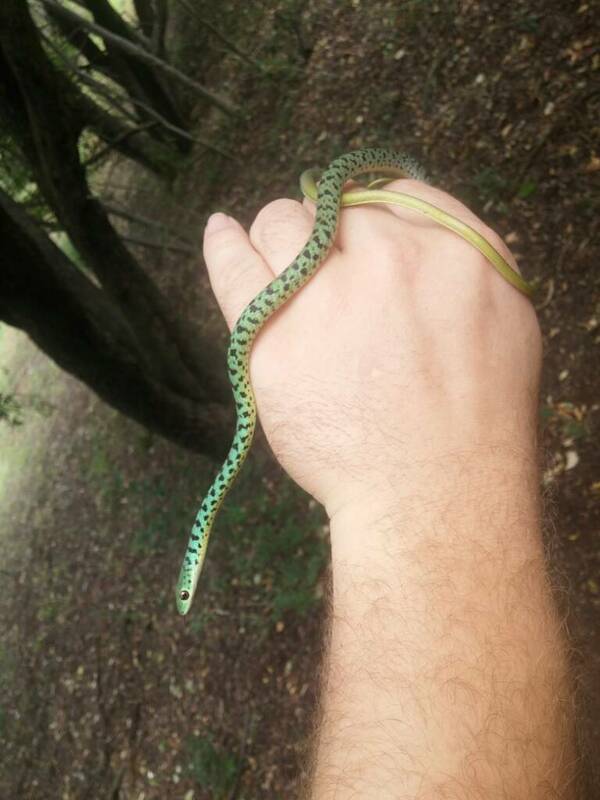 My dogs discovered him and I saved him from them. Otherwise I leave them unless they pose a danger. Then I catch them release them elsewhere on the farm. I caught a mozambique spitting cobra the other day that has been living in my house for a good few months but I could never catch him. He didnt even try and squirt the venom.